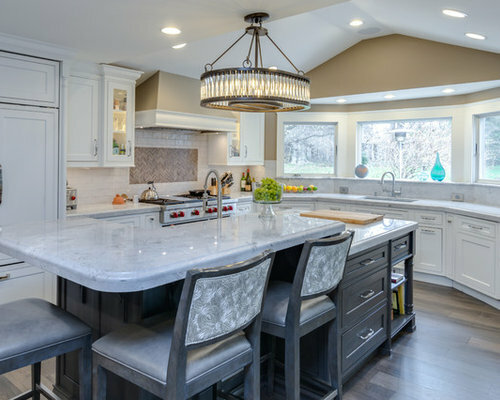 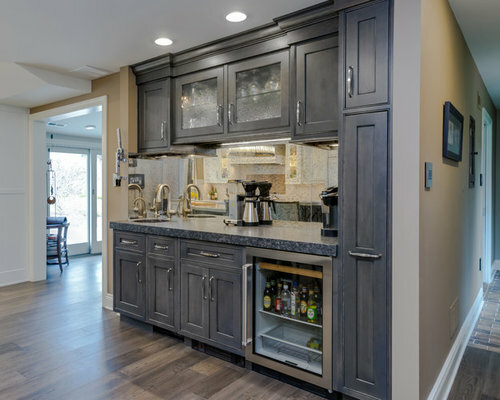 This transitional style kitchen remodel is the heart and soul of this Yardley, PA home, with the perfect marriage of form and function. 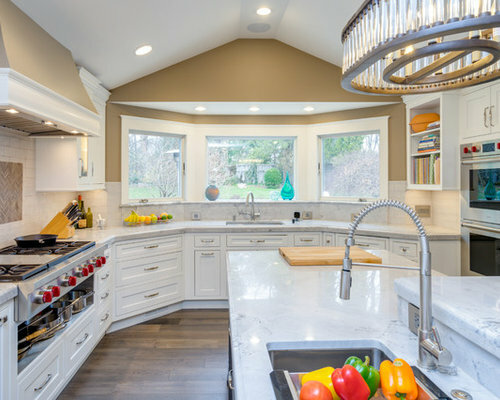 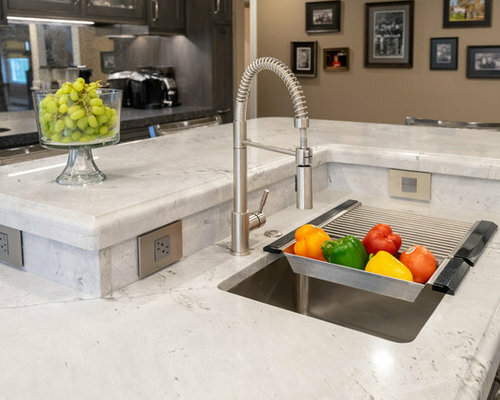 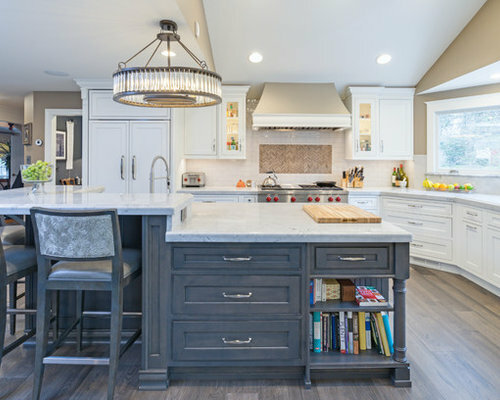 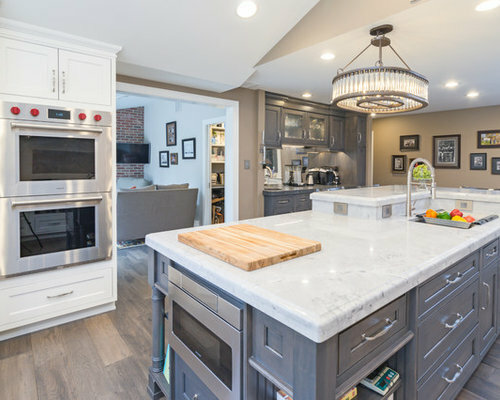 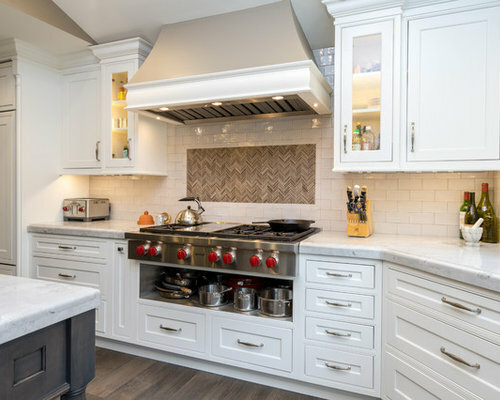 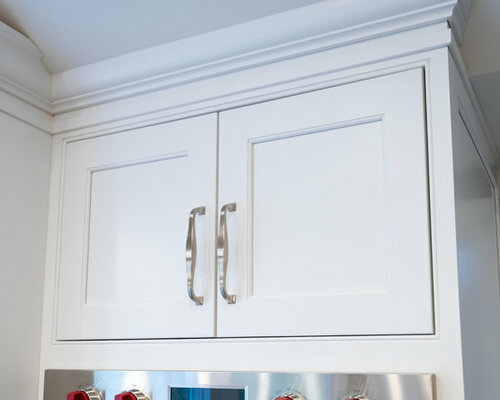 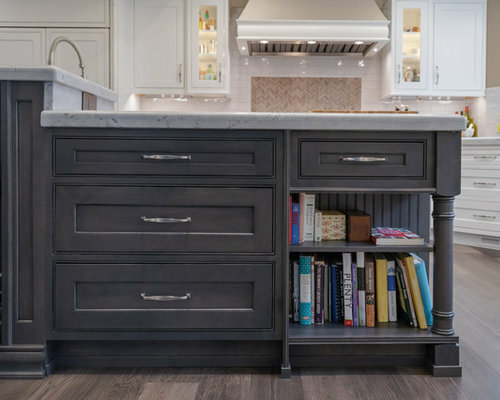 The combination of white and gray finish DuraSupreme kitchen cabinets, accented by Top Knobs hardware and granite countertops, create a stunning visual effect. 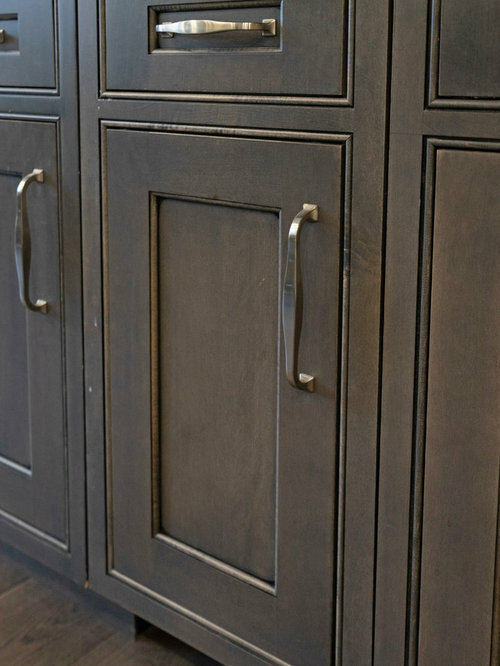 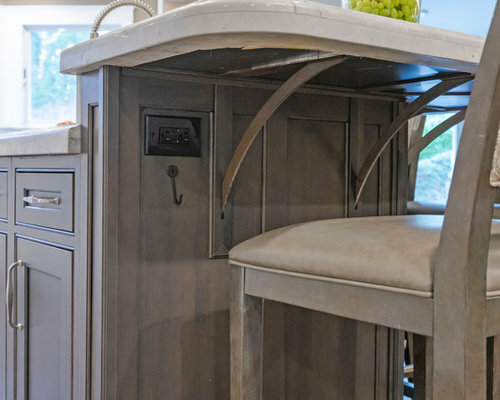 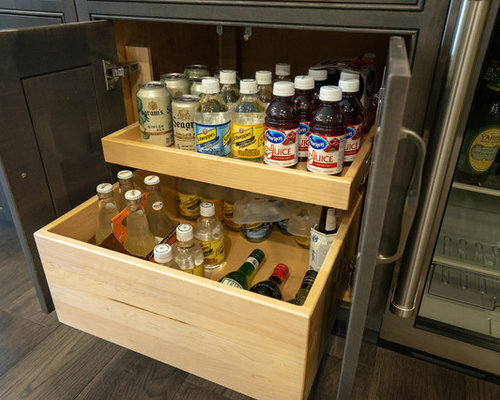 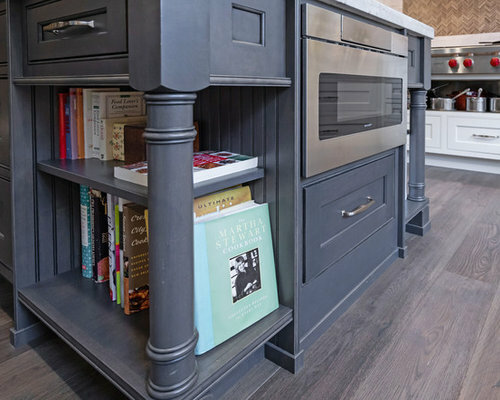 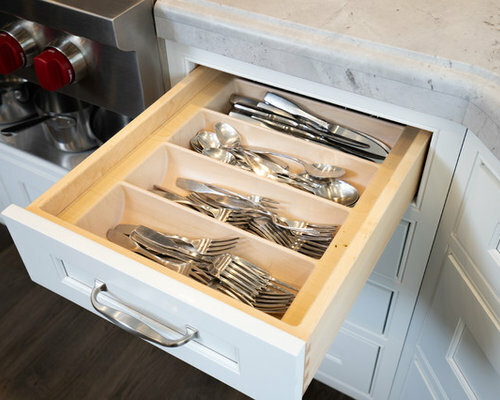 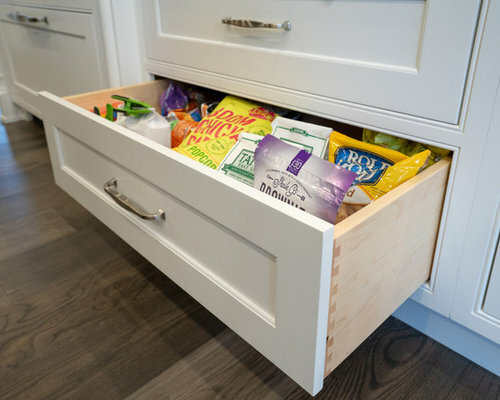 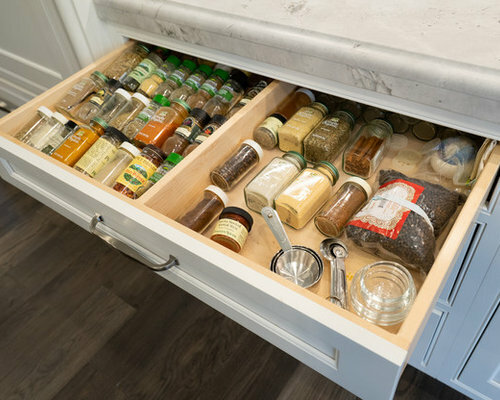 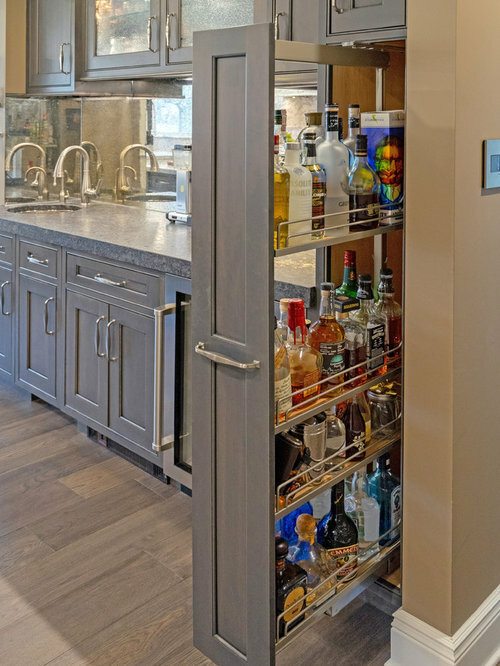 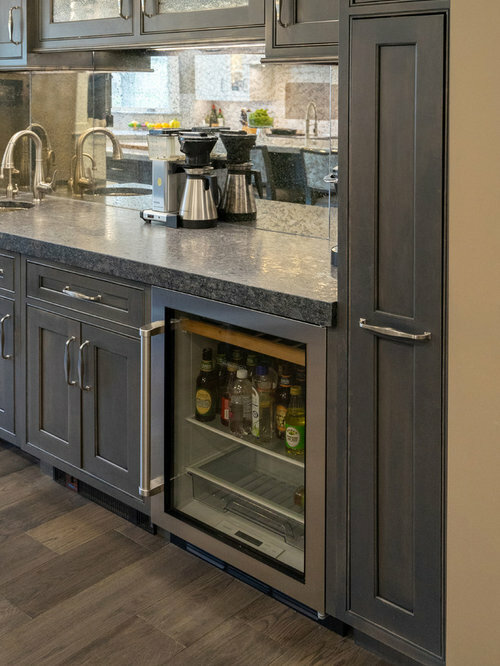 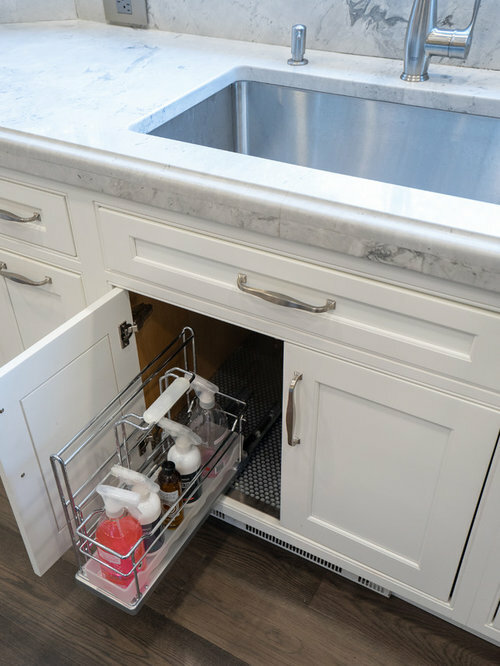 Each cabinet houses well-planned specialized storage, including glass front cabinetry and a beverage bar with pull outs. 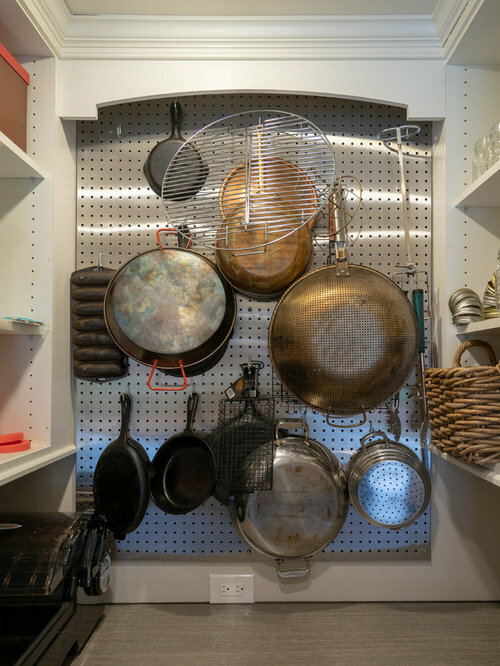 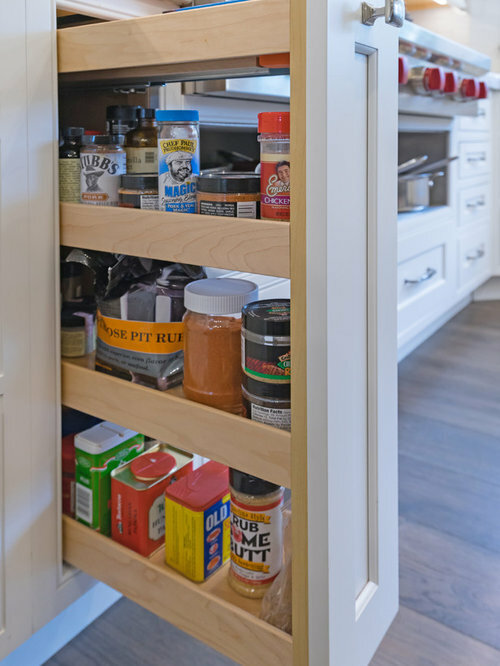 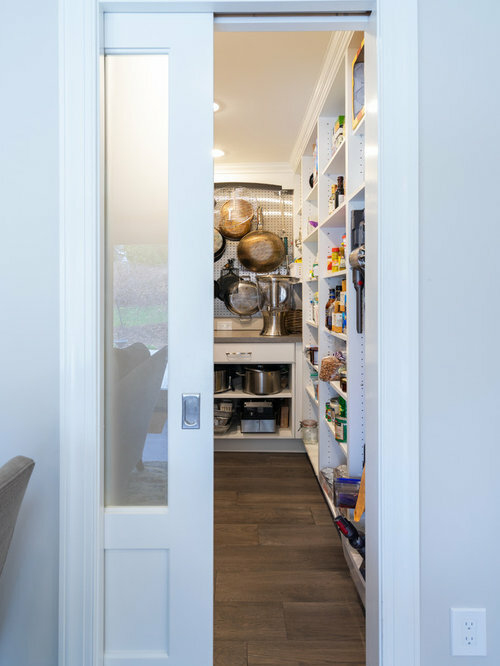 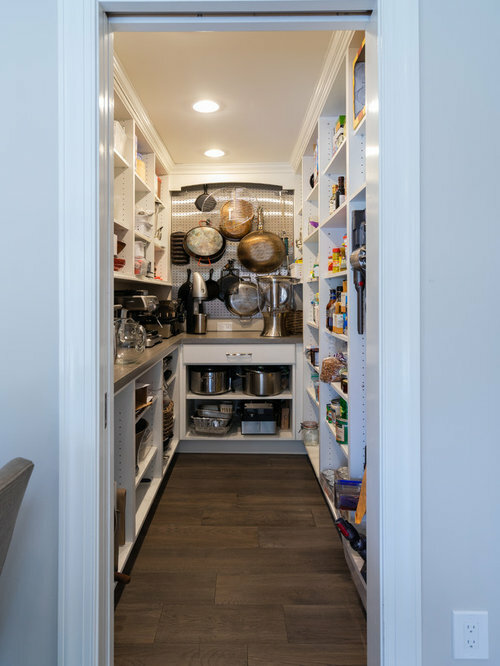 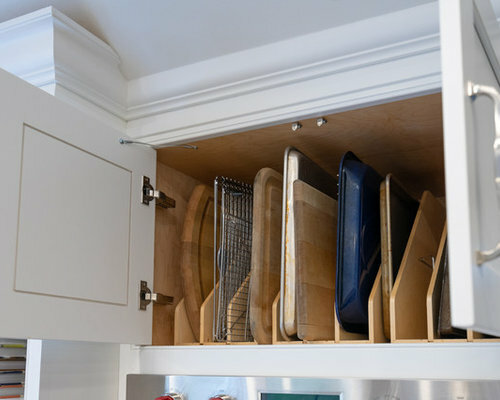 A walk-in pantry provides ample room to store all your cooking essentials. 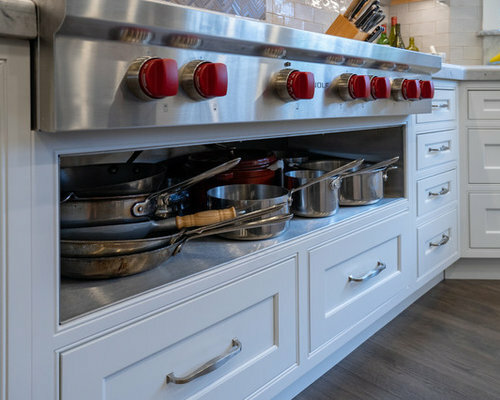 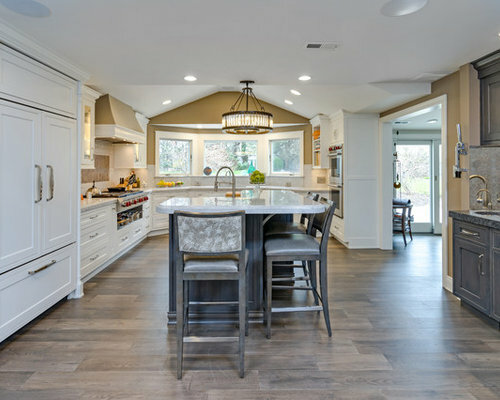 Custom features like the Jay Rambo hood, stainless insert under the range, and Walker Zanger decorative tile feature set this kitchen design apart. 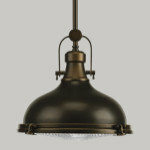 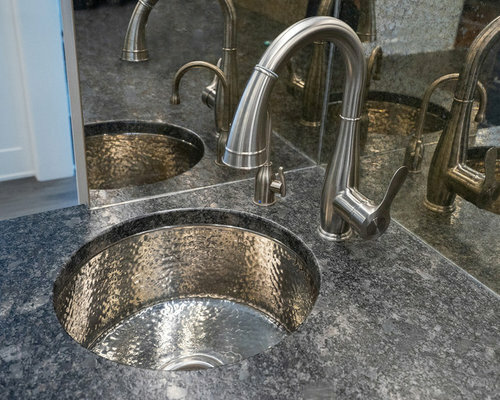 The main sink by Julien includes a drain board, colander, and drying rack with a Grohe pull-down faucet, and the secondary sink from Elkay is a hammered stainless sculpted metal sink. 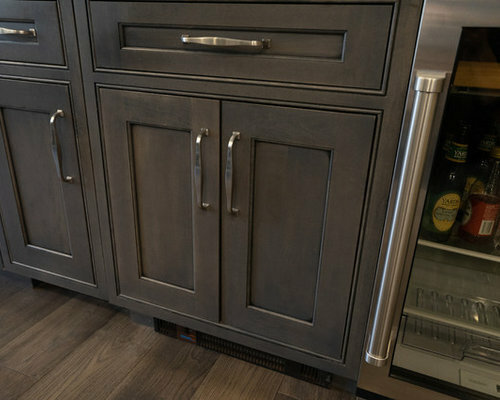 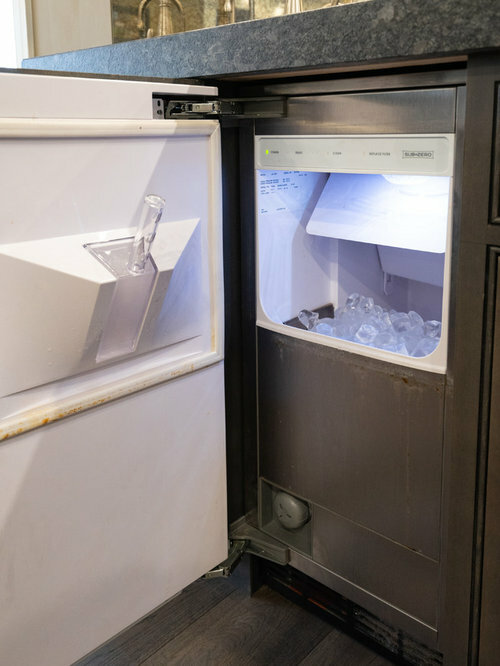 The kitchen features top of the line appliances including Subzero refrigerators, a Sharp microwave drawer, Wolf cooking appliances, a Bosch dishwasher, and Kitchenaid ice maker. 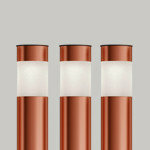 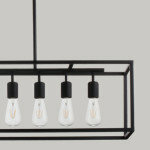 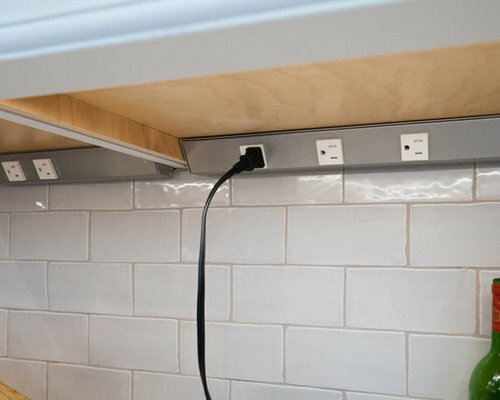 Task Lighting angled power strips offer space to plug in appliances and charge devices. 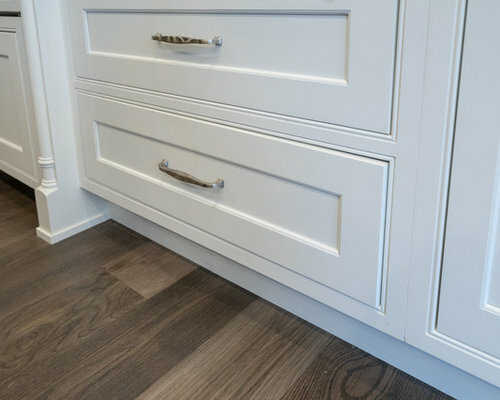 The Eco Timber engineered wood floor gives the entire space a warm, inviting appearance.